Trying to figure out how credit cards work? Learn about what happens when you apply for a credit card, how credit cards work and who are the parties involved. Whether you have been using credit cards for a while or are planning to apply for one, it’s important to understand how credit cards work. Knowing the basics can help you use credit cards effectively. And if you’re a first-timer, it’s absolutely crucial to do your homework! The card issuer will consider your eligibility based on factors such as your age, income, credit score, etc. If you are approved for a card, a credit limit will also be decided based on this information. This is the maximum amount you can spend on your card. After receiving your card and registering it, you can start swiping it in physical stores or using it for online payments and purchases. Most credit cards also offer you discounts, cashback, loyalty points or other rewards and benefits every time you use them. There is no limit to how many times you can use your credit card, as long as you have not yet reached your maximum credit limit. At the end of every billing cycle, you will receive a bill for the outstanding balance, which is the total amount you have spent during the month. Your bill will mention a minimum payment, i.e. a percentage of the total balance. You could pay just this amount, more, or the full balance. If you pay less than the complete outstanding balance by the due date, interest will be charged on the remaining amount. You will incur a late fee if you don’t pay at least the minimum amount by the due date, and this fee gets added to your total balance. You can use your credit card for cash withdrawals at ATMs, but this is usually charged at a higher interest rate than other transactions. Every time you make a payment, your available credit is topped up by that amount minus any interest or late fees. Banks or financial institutions provide consumers with credit cards, handle their billing and statements, and collect payments from cardholders. A customer’s credit card is swiped through a Point of Sale or POS terminals, and the card acquirer pays them for the sale. These online equivalents of physical POS terminals process a customer’s credit card for payment to merchants. These banks or financial companies provide merchants with POS machines, and process credit card payments for them. These collect purchase information and send it to the relevant association/network, based on the credit card number. Companies such as Visa, MasterCard, etc. 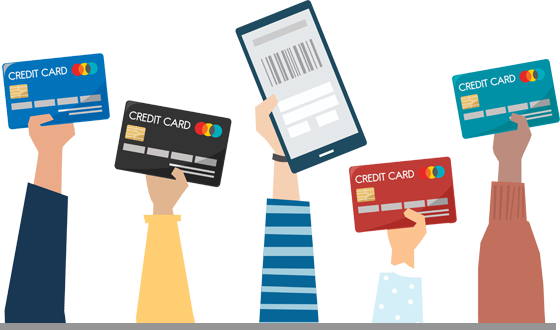 collect data from payment processors, authorise payments and collect them. How does credit card billing work? Credit cards have a monthly billing cycle, and your bill will include all transactions between the last billing date and the current one. The billing date is the date on which the monthly bill is generated, and the due date for payment will usually be a week or two after the billing date. Cardholder swipes card -> Merchant submits a request to acquirer -> Acquirer forwards the authorisation request to issuer -> Issuer checks available credit -> If enough credit available, issuer sends authorisation code to acquirer -> Acquirer approves transaction -> Purchase complete! How do credit card refunds work? When you return an item you’ve purchased or report an unauthorised/fraudulent charge, your card issuer is liable to refund the money you paid. When a refund has been authorised, the amount previously deducted from your available credit limit will be added back to it. Credit card issuers basically lend money to consumers and charge interest for it. After the due date for each monthly billing cycle, any outstanding balance will incur interest until the time it is paid off in full. Late fees and cash withdrawals may be charged a higher interest rate. How is MoneyTap’s credit card different? A personal line of credit through MoneyTap is a combination of a credit card and a personal loan. You can swipe the credit card and use it online, and you will earn rewards just as you would with any other card. 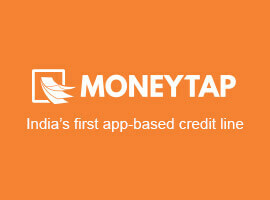 However, MoneyTap takes flexibility a step further. Every repayment you make will recharge the entire credit line, and you can track or manage transactions through the smartphone app. MoneyTap’s revolving line of credit is a game-changer. If you haven’t tried it yet, download the app today! Every repayment you make will recharge the entire credit line, and you can track or manage transactions through the smartphone app. MoneyTap’s revolving line of credit is a game-changer.